TNG increases productivity of IT management through the reduction of more than 50% of incidents, which occurred in the communication structure of all its shops. In 2010, TNG adopted the OpMon platform, from the Brazilian developer OpServices. 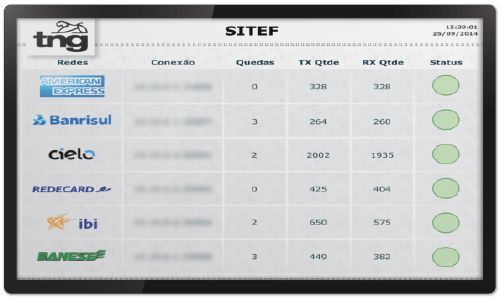 This decision came from a need for proactive management of incidents of the IT environment so that periods of unscheduled downtime of their critical systems could be reduced as well as the downtime of the communication structure of their 174 stores scattered throughout Brazil. Before the adoption of OpMon, TNG operated with Zabbix, an open source tool for monitoring. One of the needs that drove the acquisition of OpMon was the possibility of aligning the business with IT, through the visualization of indicators that support the main systems in a centralized view. The management of the entire IT infrastructure including networks, servers and storages, in addition to the business-critical processes (applications of shops, SITEF, among others) was fundamental to the definition of the solution. Another critical factor was the real-time view, presented in dashboards (visual panels), the integrity of the DPC – Data Processing Center – and the communication structure of all 174 stores, which would allow a quick identification of any anomaly, with significant reduction in the incident response time by the IT staff. The deployment was in charge of the Aquilatech company, an OpServices solutions partner, responsible for maintaining the entire IT environment management and monitoring processes updated, ensuring that all changes within the IT environment are synchronized with OpMon. This service enables TNG human resources staff availability to focus on what really matters: the day-to-day strategic activities of the company. The deployment process consists of 5 steps: Planning, Documentation, Installation, Applications and Metrics, and Conclusion (completion). All the steps were performed in 20 days, in conjunction with TNG, OpServices and Aquilatech teams. Among the perceived benefits with the implementation of OpMon, we can highlight the problem identification speed in stores and the identification of systems that affect the business, the facilitation of the exchange of IT-related information to develop projects, budgets, audits and new business demands, as well as the creation of IT indicators for negotiation with internal clients and suppliers. In addition, the level of confidence of the business towards IT has increased significantly, since today there are no doubts about what the problem is or who was responsible for it. In most cases, there is a communication of the incidents/problems in advance to the IT users. “The platform assists in IT governance, clearly and objectively allowing the management of all assets and services, facilitating decision-making and control”. For the clients, the main benefit perceived was the speed in IT responses related to the business’ needs, which, after the implementation of OpMon, increased substantially. The staff ceased to waste so much time trying to identify the problems, which made the improvement of productivity possible as well as the targeting of the focus on the strategic issues, since notifications were created 24 × 7 of any problem, putting an end to the surprises and the unpredictability that used to occur in the environment. In recent years, TNG has reached a level of maturity that enabled the improvement of various operational processes, such as the definition of metrics and indicators that enable strategic management of IT and the creation of monthly reports on OpMon, which enable control of contracts and suppliers. In the current scenario of the IT environment, all resources are used as planned, since there is information of when and where the investment is necessary, based on the OpMon reports. This generates, in addition to cost reduction, increased productivity with improved application performance, reducing the time to identify problems and improving the ability to resolve them more quickly, making it possible to produce more with the same amount of staff resources. Still on the productivity issue, the occurrences in the communication structure of the shops presented a reduction of over 50%. It was also created a routine of preventive maintenance, based on the indicators set out by the team, which, in some cases, became corrective maintenances, avoiding future problems, all thanks to the information provided by OpMon. About the TNG’ IT management vision of the future, the next steps are toward an improvement of critical business processes mapping. TNG’ IT is currently in an environment of constant changes, whether offering new systems or new applications and, therefore, requires a constant monitoring of its entire infrastructure. 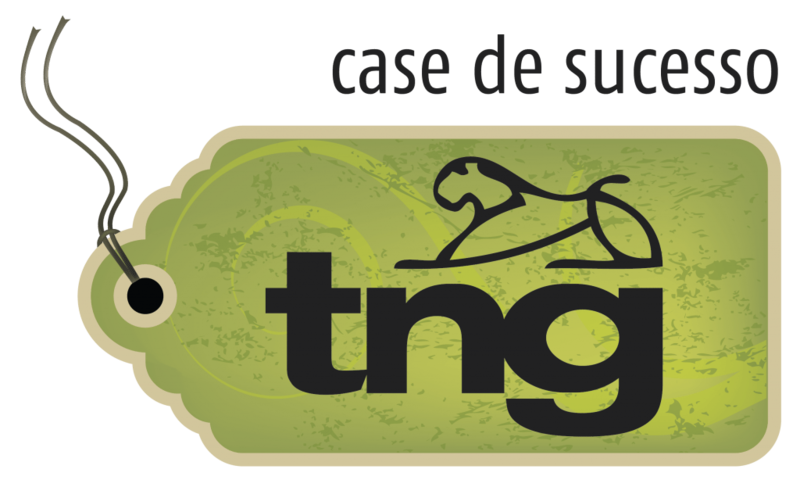 TNG was founded in São Paulo in 1984, with the slogan “Leave the Ordinary Behind”. The clothing brand came up with the proposal to change the idea of the male wardrobe. After 15 years on the market and of being conceptually consolidated, emerged a new necessity and a challenge: to commercialize the female line in its main shops. TNG is in operation for 25 years and has 174 stores. Since 2003 in the IT market, OpServices is a Brazilian company specialized in IT governance and business processes. 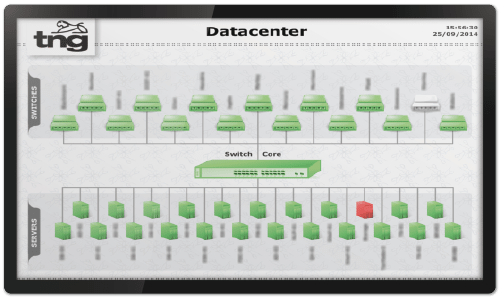 The company is the OpMon manufacturer, an indicator monitoring software of IT and Telecom infrastructure. The solution is used by hundreds of companies both in Brazil and abroad. Want to know more about OpMon? Contact us and request an OpMon business proposal to manage the IT environment and business processes of your company. Ask for a proposal! Through our experience with business indicators mapping, we build a catalog with KPIs models of our clients, which can be managed with OpMon Dashboards. Click to access the dashboards catalogue. Read also: Eletronic Tax Invoice, Network Monitoring, Database Monitoring, Application Monitoring, Virtualization & Cloud Monitoring, Oracle Database Monitoring, Business Process Monitoring.